It is not easy to work with people who were sentenced to probation. You need nerves of steel, sense for responsibility, endless empathy, and first and foremost, you have to see a meaningful purpose in this job. Unless you see it, and unless you really want to help the sentenced to get back on track and leave their painful past and sins behind, you should opt for another job field. Because you will get burned out quickly, or discouraged. Interviewers will test your readiness for this position, as well as your personality and attitude to work with a set of personal and behavioral questions. In this article we will have a look at eight questions, and suggest you how to answer each one. Let’s start! Why do you want to work as a probation officer? What do you want to accomplish on this position? Why do you think you can do this job well? What do you consider the most challenging aspect of this job? How do you feel about carrying/using a gun? Imagine that you came to a house of one of the offender, and you found them fighting with their wife. What would you do? How will you try to build trust with the convicts? Typically a first question in an interview, unless they start with a typical “Tell me about yourself” question. Try to refer to the present, and to the future. Do not talk about the past, do not suggest a need. To say that you apply for this job becasue you studied behavioral science or criminal justice is a bad answer–it indicates a must, not a desire. You should rather refer to your desire to help the criminals get back on track, and on your skills and personal traits that make from you a good applicant for the job: empathy for the sentenced, ability to work with difficult personalities, your interest in the field, etc. If you have any personal experience that motivated you to pursue this career (for example someone from your family went through hard times and probation officers helped him to overcome the difficulties), you can definitely talk about this experience. Everyone likes to hear a good-feel true story. Your goals should refer to the people you’ll work with, or, in a broader context, to the society in general. For example you can say that your goal is to help each single individual you’ll work with to get back to normal life, to find employment, or basically to improve their habits and way of thinking. You can also say that you aim to decrease the recidivism in your district, or help to achieve any other worthy goal that your work allows you to pursue. Try to give them as many reasons as possible. First and foremost, you should refer to your motivation and enthusiasm. Say that you know what you want to achieve as a probation officer, and it will motivate you to try your best. Secondly you can refer to your education (and/or certification), saying that you have all theoretical knowledge to do this job well. You can also refer to your personal traits and skills, such as listening skills, empathy, ability to work with difficult personalities, personal experience with criminals, and other skills that will help you to do a great job with the offenders. This is not an easy job. Half of the people you’ll work with will have no trust in you–at least not initially. People will shout on you, some of them will lie to you, and some of them will avoid meeting you on purpose. And you will experience disappointment. Some criminal offenders will repeat their crimes, no matter how hard you try. These are the number of statistics, and you have to accept them as something given. Anyway, you should show the interviewers that you see this job realistically. Talk about experiencing disappointment, about arguments with the convicts, about the risk this job involves. But at the same time you should ensure the interviewers that you count with these aspects of the job, and are ready to try your best to handle them. 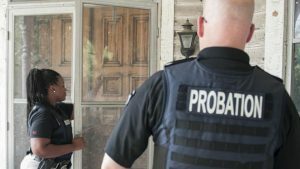 In many countries of the world, probation officers are allowed to carry a gun (in a crazy country call United States of America virtually anyone can carry a gun), especially when conducting home visits. You should say that you feel fine about carrying a gun, but stress that you consider it solely as a means of self defense, or defense of another person. Cases when a probation officer (or any other officer) used their gun in a bout of anger, or in a difficult moment, and killed someone are way too common… Ensure the interviewers that you are mentally stable and will not join the ranks of these officers, of people who made a wrong career choice, of people who should have never gotten this job at first place. You can expect to get at least two or three behavioral questions in your interview. These questions will always target a certain situation that can happen in a job: conflict with the convict, losing motivation, finding drugs in a house, being attacked, being shout on, etc. Your goal is to show the right attitude, and convince the interviewers that you are ready for the situation (at least in theory, becasue we can never be 100% sure what we would do in any given situation, until we experience the situation). Asking them verbally to stop. Asking again, threatening to use force if they do not stop. Using light force to stop them. Only if nothing of the above worked you’d use the brute force. This is not an easy question, and the answer is not straightforward. What definitely helps is empathy, and trying to present yourself also as their friend, and not only as a cold state authority who were assigned to work with them, and follows the obligation. Listening first, speaking second. Trying to understand their world better. Showing honest interest in their problems and perspective. Letting them enough room to express their opinion, doubts, fears, and wishes. All of this helps to build trust, but there are cases when nothing will work... Anyway, you should at least show us that you will try your best. This job is not a short track run. It takes time to understand the world of criminals, it takes time to learn how to work with these people. Some of the best probation officers I had an honor to meet in my life had the job for fifteen years or more. Tell the interviewers that you do not plan to change your career soon. Ensure them that you honestly want to improve in what you do, and that you understand the crucial role of experience in this field. I would say that the interview for probation officer job belongs to difficult job interviews. You will have to deal with both personal and behavioral questions, you will have to show motivation and right attitude to the job, and to the people you’ll work with. What is more, you will often have to pass the personality test. But the success (or failure) is not a question of luck. Prepare for the questions, define your goals clearly, and make a good impression on your interviewers. You can continue your preparation with us if you want, reading one of the articles below. 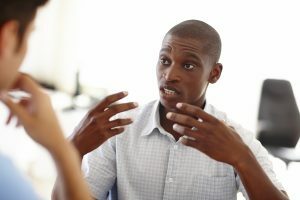 Body language in an interview – What do your gestures and movements say about you? Can we control our non-verbal communication? 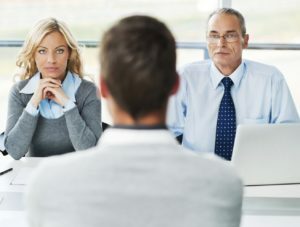 Fifteen most common interview questions – Test the waters, learn what matters for the interviewers and how to answer the most common questions. What to bring to the interview with you – Learn what documents to take to the interview with you, and how to present them. Matthew has been working in international recruitment since 2008. He helps job seekers from all walks of life to pursue their career goals, and to prepare for their interviews. He is the founder of InterviewPenguin.com website.